Since the prehistoric times, our need for preservation and advancement brought creation of many new tools that enabled easier and more productive life. Among many of those fascinating tools were eating utensils - hand used tools that enabled us to better prepare, serve and eat food. These eating tools received countless dynamic advancement in line to the changing tastes, eating habits and technological states of civilizations throughout the ages. Cutlery, a term that describes modern silverware tools of forks, knives and spoons had a very distinctive path through the history. Some of them were created and first used by our Paleolithic ancestors over 500.000 years ago and other were introduced only short 1000 years ago during European Middle Ages. Knife is most certainly the oldest eating utensil ever made. Although no one can know for certain when, first knives were most certainly made from the sharp stones that were used as tool for fighting and processing food. Stone knives (either naturally sharp of sharpened with the help of more durable stones) remained in use for a very long period of time, and started to be advanced only in Neolithic age some seven to four thousand years ago with the addition of crude wooden or animal hide handles, polished stone and varying shapes. Arrival of Bronze Age (3000-700 BC) finally enabled the metalworkers to forge crude versions of metal knives from copper and bronze. Shape of those knives that were primarily made for warfare and in some small degree for eating was standardized in those times, and the basic shape of the blade, wooden/hide handhold bolsters and tangs remained more or less unchanged until today. 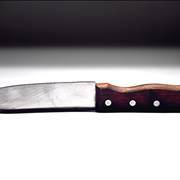 As the age of the iron and steel came to the western world, knives became commonplace among every class of people -from high medieval nobles to poor workers and farmers. Even though the technology for creating usable cutlery was available, eating knives in the middle age Europe retained their "fighting" edge. 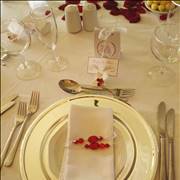 Because hosts were not obliged to provide his guest with any kind of eating utensil, guest carried their own knives that were used for both eating and fighting. This tradition of using small, very sharp tipped knives (which were used as a simple form of fork, for stabbing and eating meat) started to fade in 17 century during the reign King Louis XIV of France. He banned the use of sharp tipped knives under the influence of his advisor Cardinal Richelieu who grew tired of seeing point knives all around him, and introduced the designs with ground-down point. This new kind of eating knife soon became a standard part of a European, American and later on worldwide eating etiquette. Spoon also represents one of the very old eating tools that were made in earliest eras of human history. As many of you know, warm liquids cannot be easily consumed by using bare hands, and for that purpose our Paleolithic ancestors frequently used simple bowl-shaped designs that sometimes looked very much like a modern spoon. Most notably, sea shells were connected to small wooden sticks and chips of wood were slowly transformed into spoon-like shapes. Many ancient civilizations used their own specific designs - Ancient Greeks preferred sea shells, Romans wood, and ancient Egyptian Pharaohs used elaborate golden or silver spoons that were engraved with many artistic designs, animals and hieroglyphics with passages from their myths. With the arrival of Middle Ages in Europe, wooden and metal spoons became commonplace and since then they became the integral part of modern eating utensils. 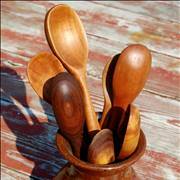 Modern word for spoon came from the Anglo-Saxon word "spoon" which means "a chip of wood". Eating utensils such as knife and spoon followed our lives form the earliest points of our civilization to the modern times. Along the way, rise of technology and change of tastes enabled the creation of many other utensil that today sit on our tables. Find out their story. 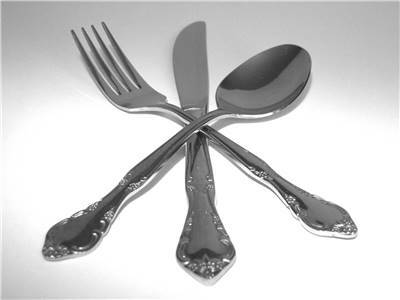 Many eating utensils were created long after the introduction of knife, fork and spoon. 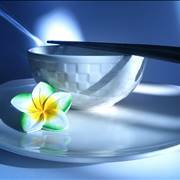 Even though they are not used regularly in many cultures, their existence enabled us to experience food in variety of new ways. Throughout the history of our civilization, eating utensils managed to influence our lives, religion and history in many ways. Find out more about most important points in their history and the facts that define them. Even though knives and spoons were in use for tens of thousands of years, forks became commonplace only 1000 years ago. 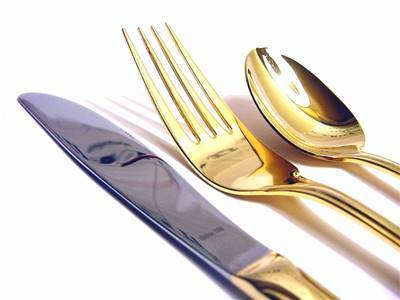 As the European nobility was responsible for the spreading of many inventions and traditions around the world, the first appearance of the fork in front of them was recorded in 1004, when Greek niece of the Byzantine emperor used golden fork at her wedding in Venice. Sadly, her "unconventional ways of eating" did not manage to fascinate Italian nobles, and forks remained unused for several more centuries. However their rise came with the arrival of Italian Renaissance. 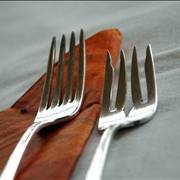 Introduced to French Court by Catherine de Medici in 1533, forks slowly started to gain grounds in Frenchnobility and common people. It must be noted that forks were indeed used by many European courts even in 14th century, but only with exotic foods that brought finger stains that were harder to clean. By early 17th century travelers from all around the Europe spread the world of this eating invention, and forks soon became commonplace in the Old Continent. 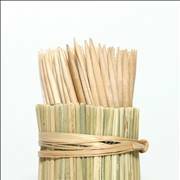 Northern American colonies however refused to implement forks in their eating rituals all up to early 19th century, when multi-tinned forks created in Germany or England came to the U.S.
Another very important part of modern eating utensils in Asian continents are chopsticks. 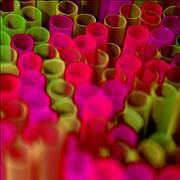 Created around 5000 years ago in China, chopsticks became widely used during Han and Ming dynasties. After that they slowly spread beyond the borders of China and became primary means of consuming food in surrounding Korea, Vietnam, Japan and other countries. Pre-cut pieces of food, and the tradition of fast cooking meant that Asian people had no need to cut finished dished themselves, and chopsticks remained in use as a main eating utensil. They are made from wood, bamboo, plastic, and in some cases from metal, bone and ivory. Currently, Japan and China are spending over 70 billion chopsticks each year, which is producing great environmental impact and stress on Chinese wood industry. 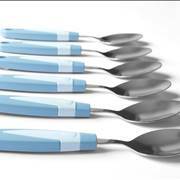 Spork - Hybrid of spoon and fork. Knork - Hybrid of knife and fork. Spife - Hybrid of knife and spoon. Sporf - Hybrid of knife, fork and spoon.